In 2012 the Chips@School programme was established in Munich as an idea competition for students of the 8th grade onwards (roughly 13 years old) where the students come up with an idea on how semiconductor chips can be used to improve our lives. Several other sites in Germany joined and in 2015 the first nationwide competition took place. Additionally, in the same year, Singapore launched a similar project and Infineon Ireland decided to follow suit. 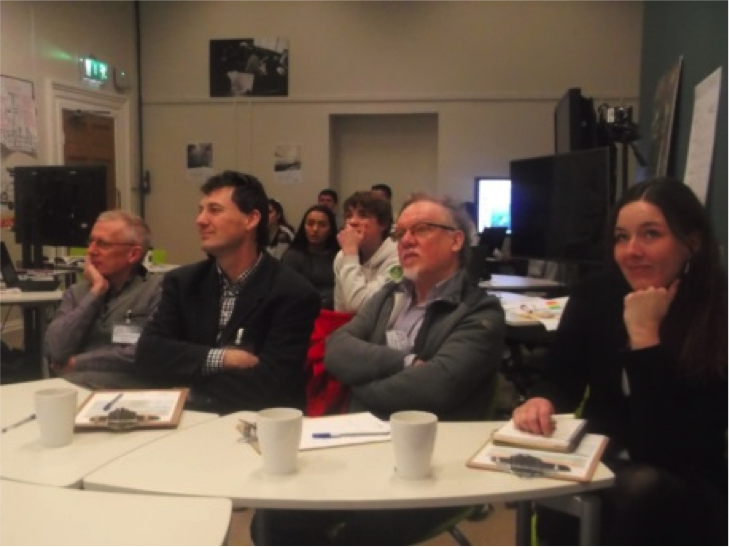 However, the approach taken in Ireland was slightly different and in order to get an entry point into the education system a week long workshop programme was developed which embeds the idea competition, allowing additional time for semiconductor focused educational modules. To organise such a programme Infineon had close collaboration with and the support of several partners. First of all, Trinity College Dublin, which is recognised as one of the premier universities in Ireland, provided the initial contact to Bridge21 and AMBER which were the other two partners. AMBER stands for ‘Advanced Materials and BioEngineering Research’ and is a Science Foundation Ireland funded centre which researches nano and bio materials such as graphene and nanowires. 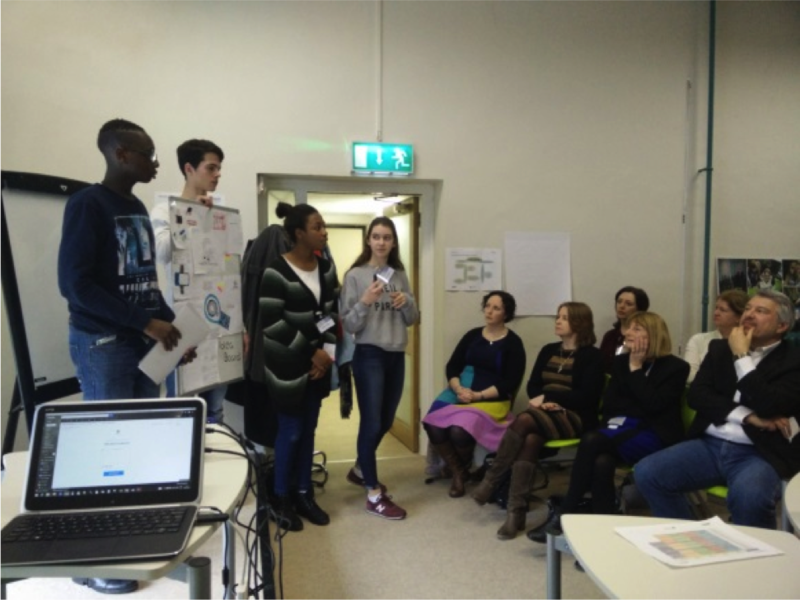 Bridge21 is an education programme based in Trinity College Dublin which uses a team and project based model of learning approach. 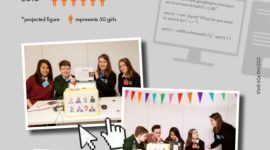 The week long programme took place from the 29th of February to the 4th of March 2016 where 16 students aged around 15 years old, coming from various schools from all over Ireland took part. Facilitating this programme were Dr. Jake Byrne from Bridge21, Martin Linden and Johannes Mehler from Infineon. 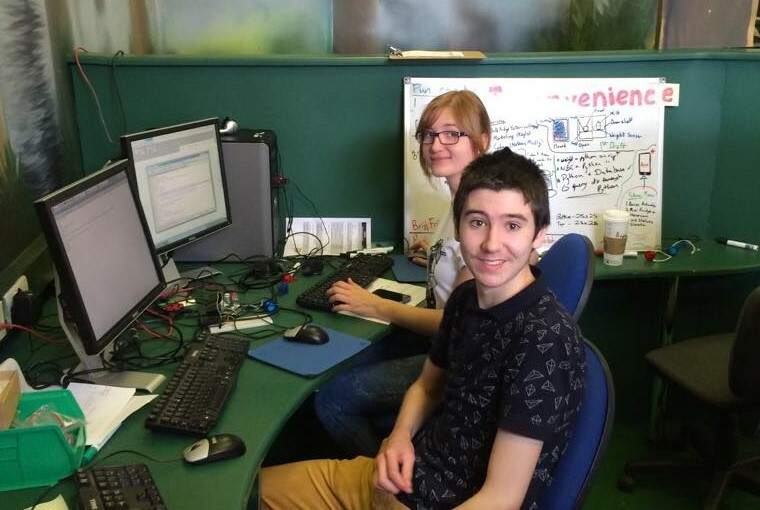 These mentors were present during the whole week to teach the students about semiconductors in a modular way. In the first half of the week the participants learnt about the basics of semiconductors such as where they are used or how they work. 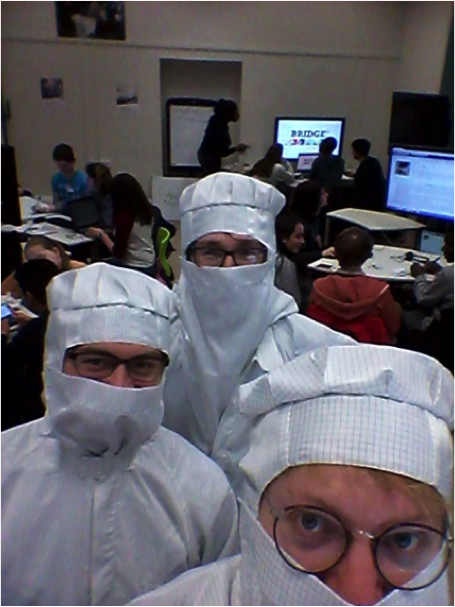 The mentors even wore clean room suits while explaining the production of a microchip and showing them some examples of Infineon products. Midway through the week, the group had the chance to visit the AMBER centre at Trinity College Dublin to have a look inside the laboratories. 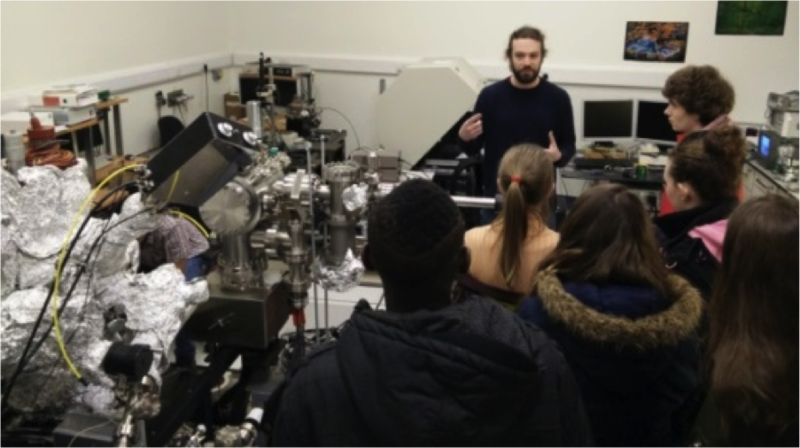 There Prof. Duesberg explained their research to the group and Dr. Nina Berner and Dr. Toby Hallam supported him showing the students around their laboratories. During the second half of the week, the emphasis was on the idea competition. In groups of four the participants had to come up with an innovative idea about how semiconductors could make our world better. The goal was to present their ideas to a judging panel on the final day of the programme. The panel was formed by Tony Smyth, former Managing Director of Infineon Ireland, Prof. Brendan Tangney, Academic Director of Bridge21, Prof. Brian Broderick, Head of Department of Civil Structural and Environmental Engineering of Trinity College Dublin, and Dr. Nina Berner, scientist at the AMBER centre. To prepare the participants for this Mary Colclough, Communications and Education Manager of AMBER, gave training on presentation techniques to the students. On the final day, not only the judges were present, but also several visitors from the various partners. The standard of the innovative ideas presented clearly impressed the visitors and the judges. One group presented the idea of combining a normal combustion engine with a thermoelectric generator in addition to a solar panel on the roof to power a car. The second team developed an artificial tooth containing a sensor to measure the blood sugar level through the salvia with a Near Field Communication (NFC) transmitter to send the data to a smart phone. The third idea was a lifesaving vest which allows CPR to be performed correctly and successfully and to which other lifesaving appliances such as an oxygen mask could be added. The final group worked on micro sensors which are embedded underneath the skin and connected to a smart watch via NFC. The watch itself processes the data and is connected to a hospital. The doctors there can then release medical substances which are stored on a chip underneath the skin as well if the patient is chronically ill. The evaluation criteria considered not only the idea and the presentation but also their teamwork throughout the week. 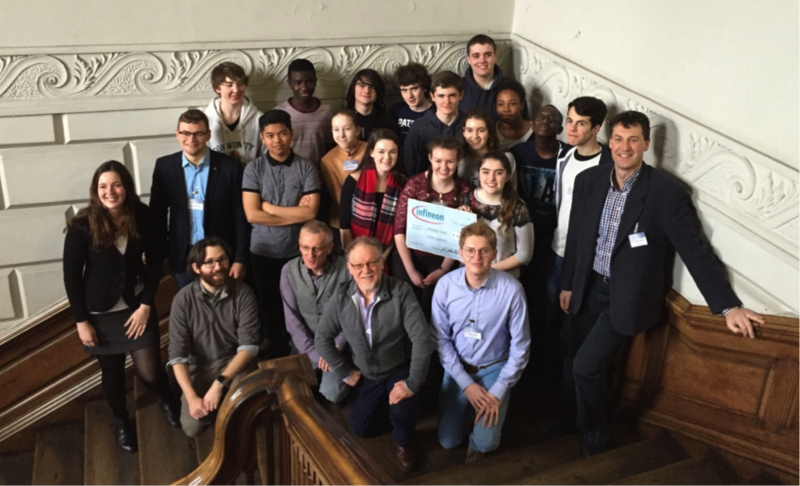 At the awards show which took place in the Old Library of Trinity College (Home to the Book of Kells) the team which presented the hybrid car was announced as the winner and each of the members were congratulated by Randolph Knobloch, Managing Director of Infineon Ireland. The feedback from the participants, judges and visitors was overwhelmingly positive. Valuable input was received on how to improve the programme should it be run again in the future. The students, aside from learning about semiconductors, also gained some important experience in presenting and working as part of a team. To apply for Chips@School 2018, send a mail to : ChipsAtSchool.Ireland@infineon.com to receive an application pack. This entry was posted on Monday, February 5th, 2018 at 11:40 am. It is filed under Events. You can follow any responses to this entry through the RSS 2.0 feed.